Ollie may not have an exact reason as to why he left behind a college and football career, but it’s not hard to see that his heart belongs in music. Growing up, he aspired to play in the NFL but after graduating high school the passion to pursue football professionally was lost. Instead, he became interested in the music scene. Labelling him as a hip-hop artist might be correct, but doesn’t completely encompass the reasoning behind his sound. Ollie grew up in a small town near Toronto, where he says country music plays a major part in his introduction to music. He was also heavily influenced by the live sounds of guitars and drums that he saw at rock concerts. 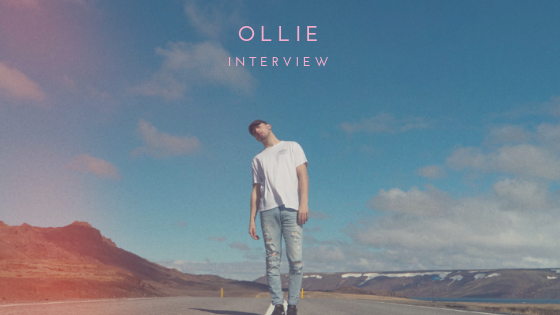 Mix that with the classic hip-hop he grew up loving, and the unique performance that is Ollie starts to take shape. His forthcoming EP, Maybe This Was Supposed to Happen, stems from his personal life and career. He tells a story not just of his life as an artist and what he’s accomplished so far, but of a relationship and the heartache that came from it. Ollie lives by a mantra: more than music. Music was there for him when no one else was. Music was and still is so much more to him than lyrics and melodies; it’s the reasoning behind his self-discovery, the friendships he’s made and the support he’s longed for. If it weren’t for music, his life may have been playing a different tune.